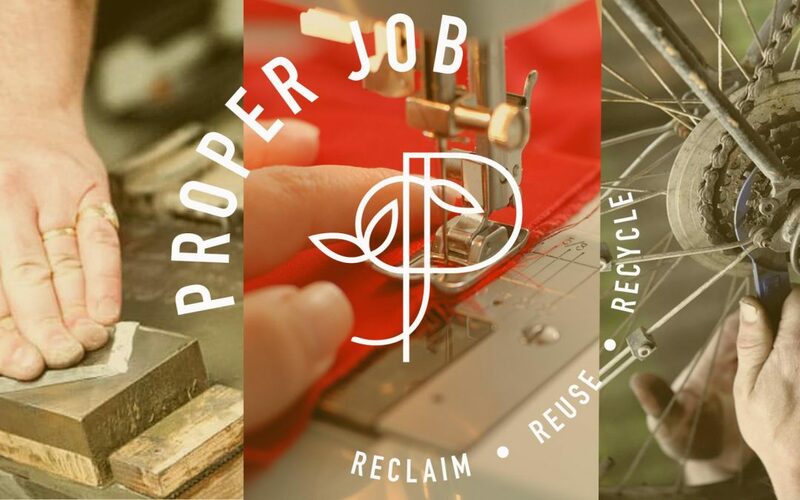 Proper Job are celebrating Devon Reuse Week in February by hosting another fabulous Reuse and Repair Event on Saturday 23rd February, 2-5pm at Endecott House, Chagford. The event consists of three separate workshops under one roof; Bike Repair and Maintenance, Tool & Knife Sharpening and Sewing with Sue. Repurpose, upcycle, repair, maintain and breathe new life into your belongings. Why buy new when old will do!! Book into our Bike Maintenance Workshop where Chagford’s very own ‘Bike Fixer’ will give your bike a mini service to make sure it is safe and running efficiently, whilst talking you through basic bike care and maintenance to ensure optimum performance. Please be aware that if your bike needs more comprehensive repairs then Frank will need to book it into his workshop at Crannafords at a later date. Each Bike Fixer slot lasts approx. 20 minutes and costs £5+ booking fee. Please book your time slot by clicking on ‘Get Tickets.’ Children under 12 must be accompanied by an adult. Please ensure you arrive at least 10 minutes before your session, join us for a cup of tea and be inspired by other repair and reuse ideas! Please search ‘Tool & Knife Sharpening’ or ‘Sewing with Sue’ on Eventbrite if you wish to book on the other workshops.